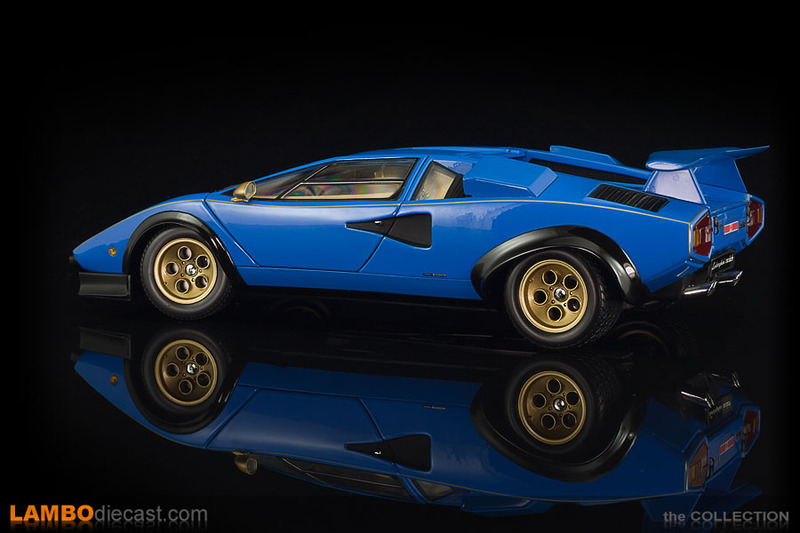 In early 1976 Formula One team owner Walter Wolf took delivery of his third Lamborghini Countach, and while today many tuners can upgrade and modify existing Lamborghini, back in those days you could convince the factory to create a one-off just for you ... and that is exactly what Walter Wolf managed to do. 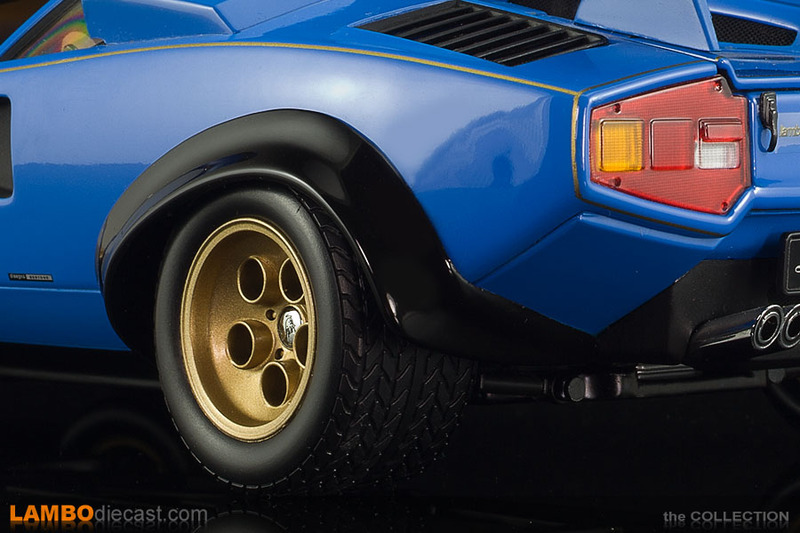 His previous Countach was a red LP400, but not a standard one, he had the factory install an experimental 5-Liter engine in his car, closer to the original prototype engine in fact, and he insisted on larger Pirelli tires on massive wheels that required not only a set of wheel arch extensions but also a redesign of the suspension. 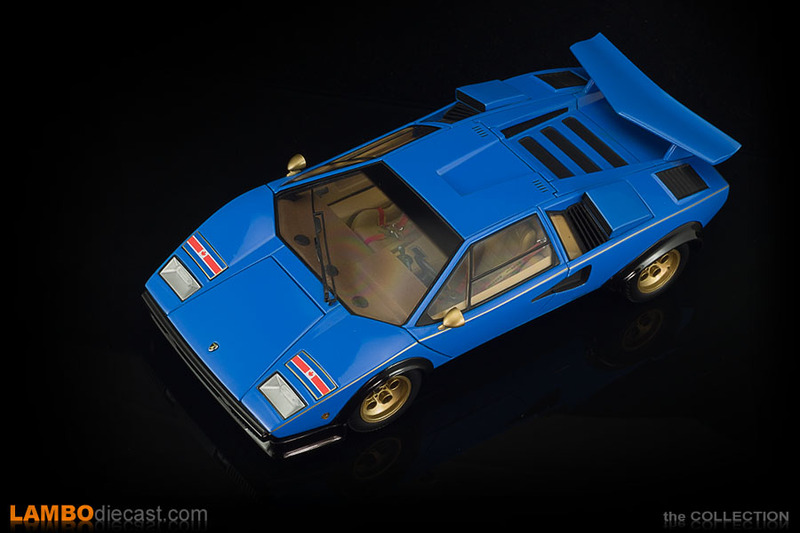 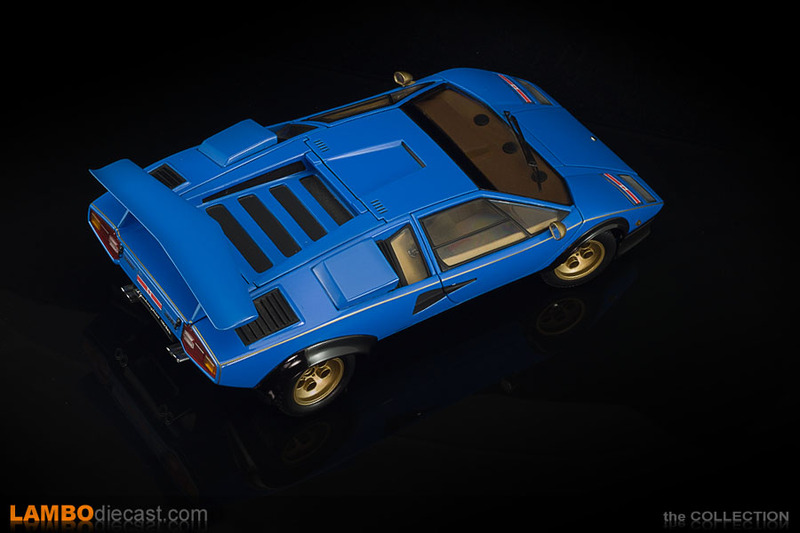 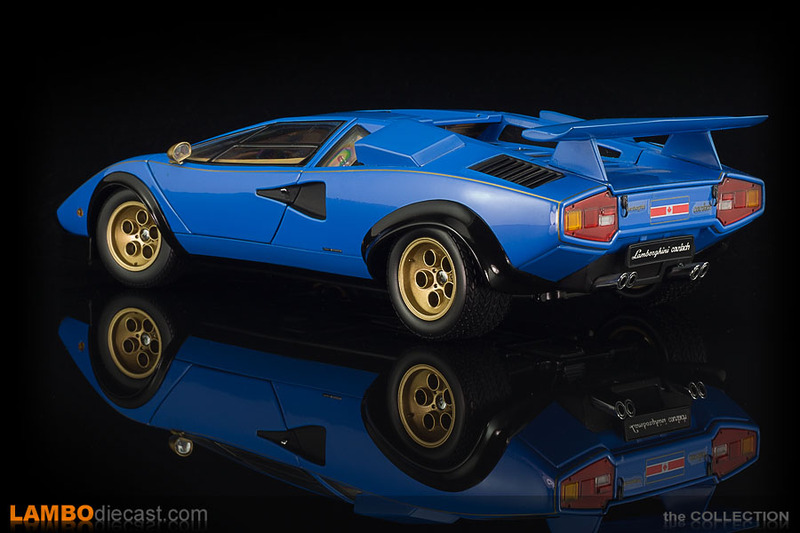 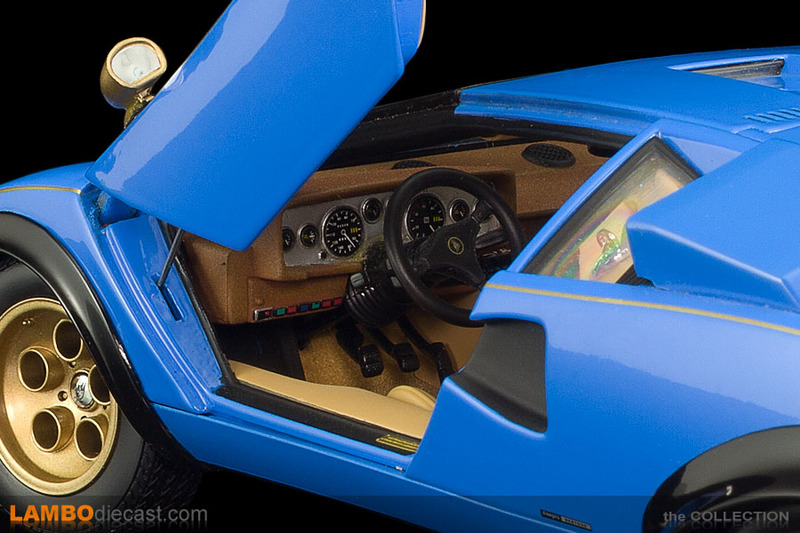 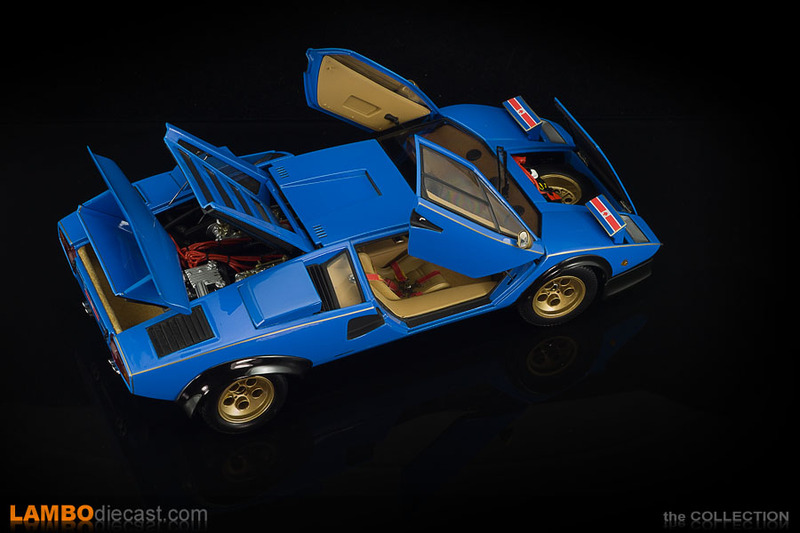 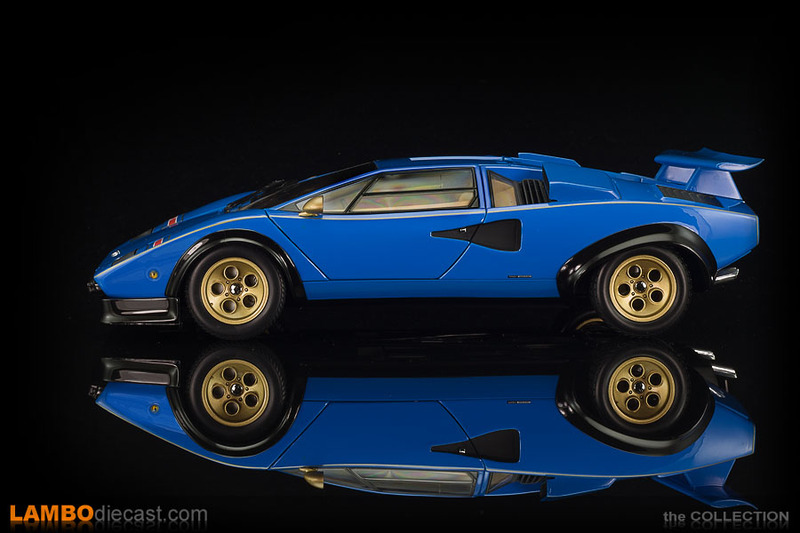 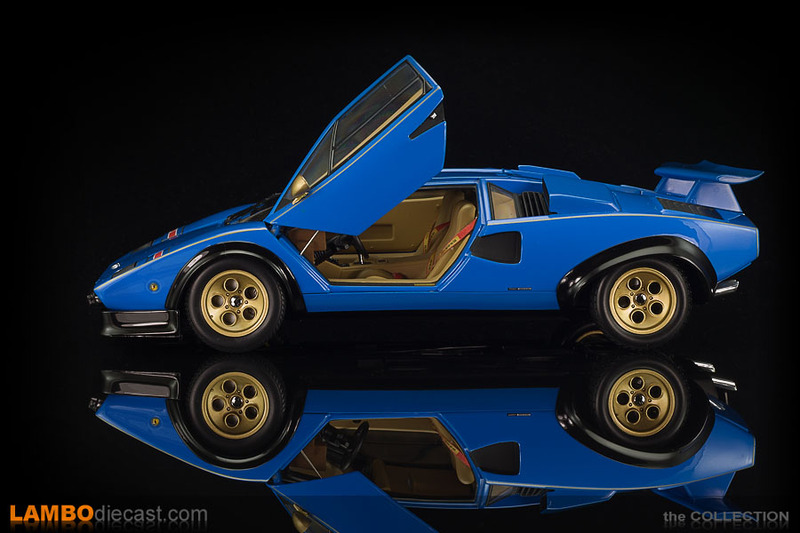 That red LP400 was delivered in 1974, only two years later Walter Wolf received another Countach that was possibly even more custom made to his likings, this time finished in bright blue, or Bugatti Blue over a light tan interior. 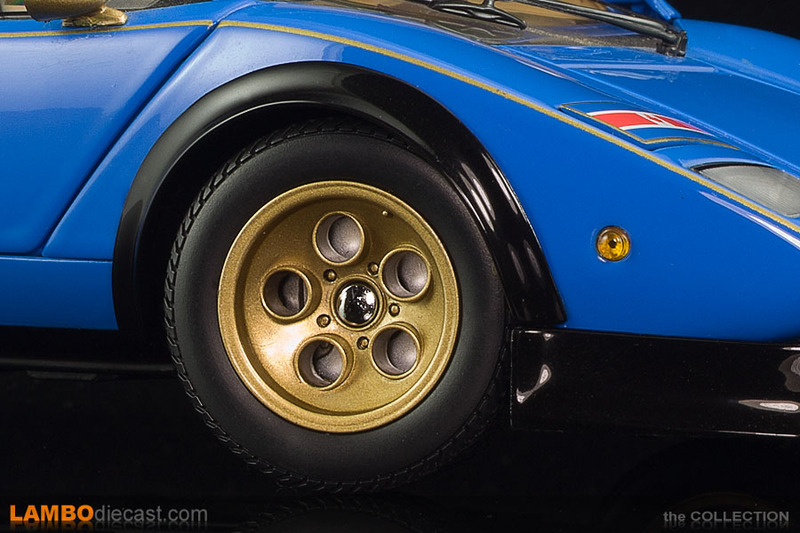 Adding a set of gold finished Campagnolo wheels under the black wheel arch extensions, a deep front spoiler and a large rear wing, now fully adjustable from the driver's seat and an automatic fire extinguisher system in the engine bay ... just in case that special 5-Liter V12 (yes, he had it taken from his red LP400 and installed into this one, chassis 1.120.202) ... mind you, this engine was 'on loan' only, Mr. Wolf was never able to buy the engine. 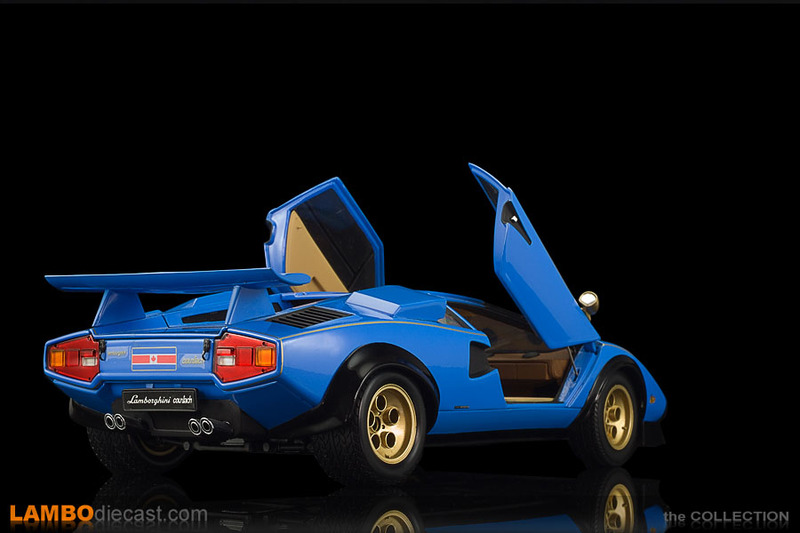 It seems Walter Wolf got bored with his Countach very quickly, and this special LP400 was again replaced after only two years, by March 1978 he took delivery of a dark blue Lamborghini Countach ... again with some modifications and the special 5-Liter engine ... but this time 'his' Countach was also the very first production model of the Countach S or LP400 S, the wider wheels, new suspension, front spoiler and wheel arches become a factory option available for 'normal' customers too ... keep in mind at that time the factory did not offer a rear wing on the Countach ... however Walter Wolf did have one installed on his LP400 S with the 5-Liter engine ... and because many customers requested a rear wing too, the factory did end up offering it later on. 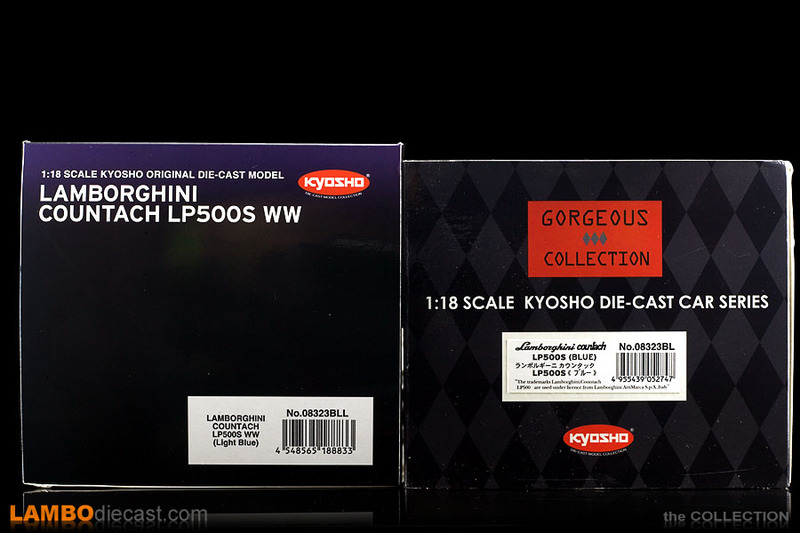 Back to the Kyosho 1/18 scale model we have here, this is the initial diecast release from Kyosho that is many years old by now (product number 08323BL), a few years ago Kyosho released product number 08323BLL, and it does look very close to this one, there are a few major differences, please take a look at our review on that newer release for all the details and a comparison of the difference between both. 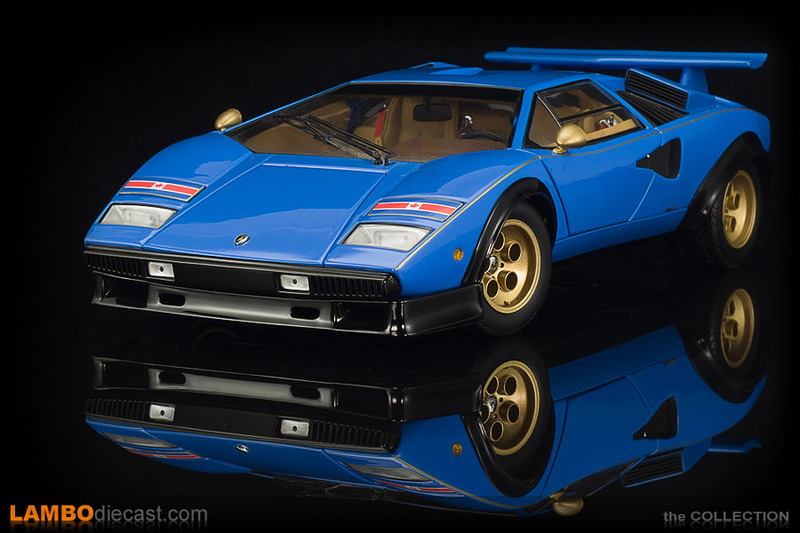 I managed to buy this original release back in the day when she was released, so I didn't pay too much for her, today this specific version of the Countach Walter Wolf has become very rare, and expensive ... but I still think this is the release to get and not the more recent Kyosho one. 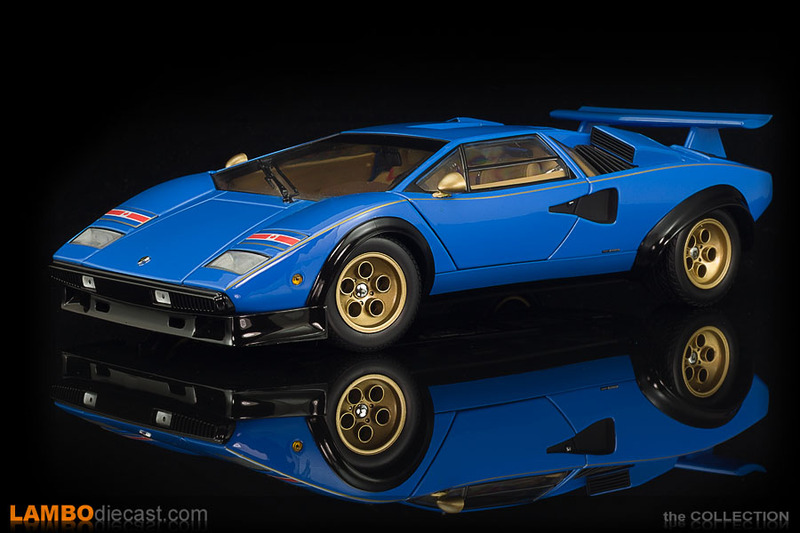 This version of the Countach Walter Wolf depicts the car as she was delivered to Mr. Wolf back in the Seventies, before he sold her to a German collector, here the car still has the small, gold painted exterior mirrors and the rear wing without vertical stabilization plates ... one error Kyosho did make are the turn signal indicators on the side of the front fenders ... these should have been small squares ... Kyosho made them round. 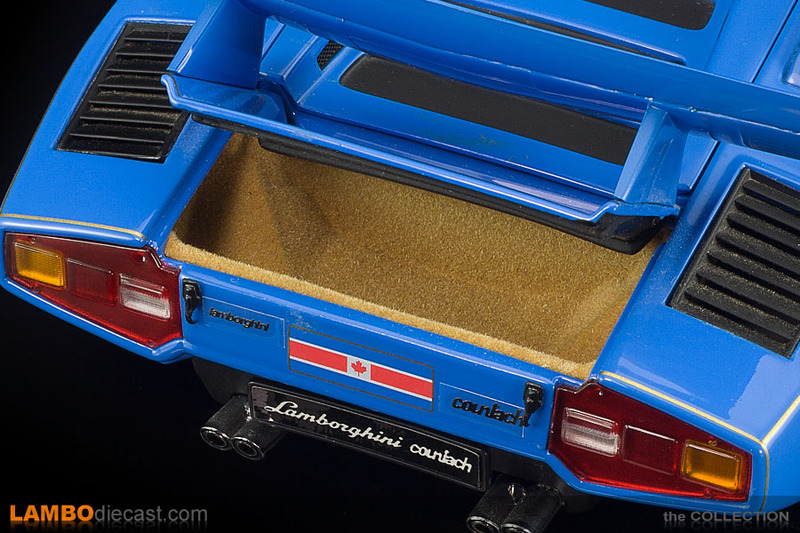 So this is an almost exact replica of the 1976 version of this Countach, complete with gold pinstriping, Canadian flags and Walter Wolf plaque on the door sill of the driver ... which actually states 'specially built for Walter Wolf', just like on the real car. 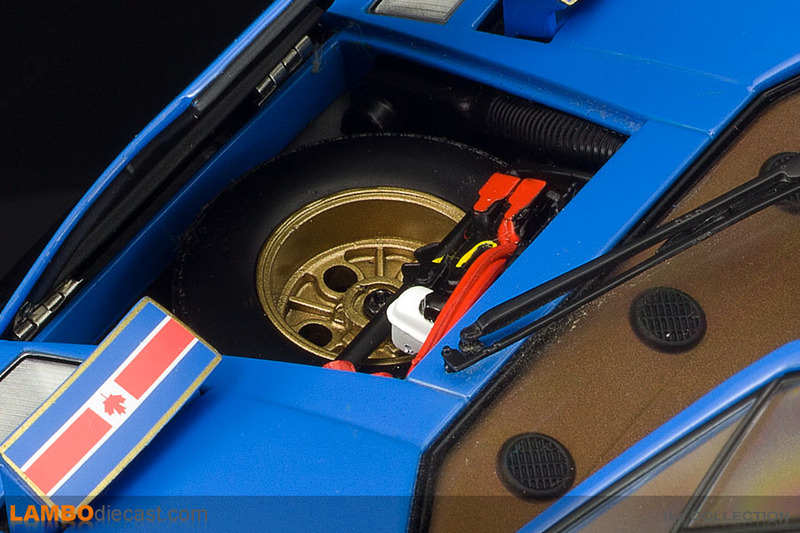 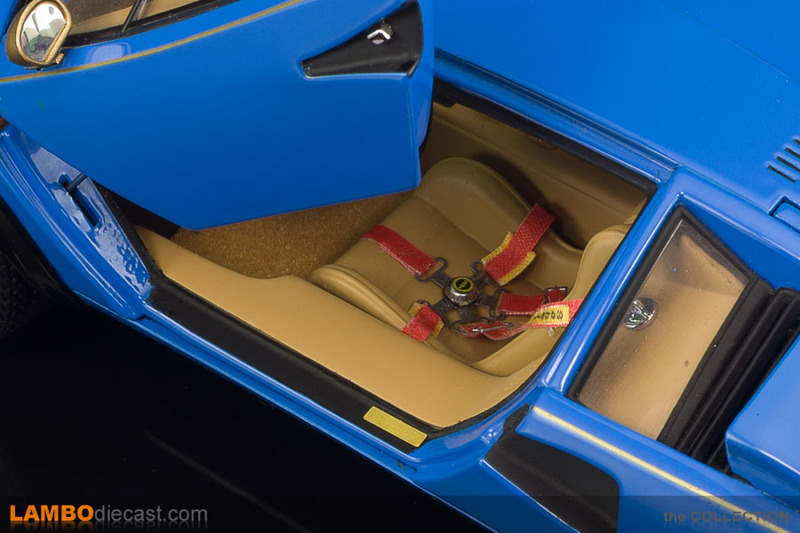 This model shows red seat belts, and while Walter Wolf did have a 5-point racing harness installed into is special Countach, on this specific one the belts were blue ... something Kyosho rectified on their second release. 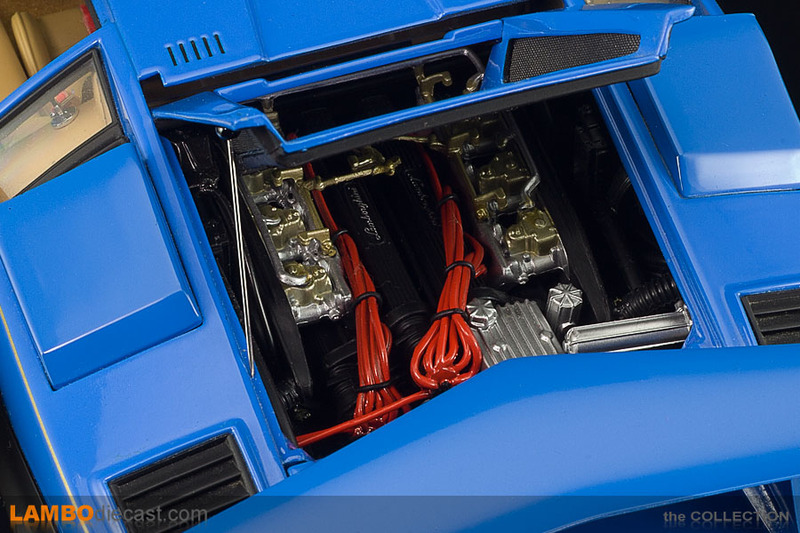 Recently the real Countach 1.120.202 has been shown at the 2016 Villa d'Este Concours d'élégance, where she took first place in her class. 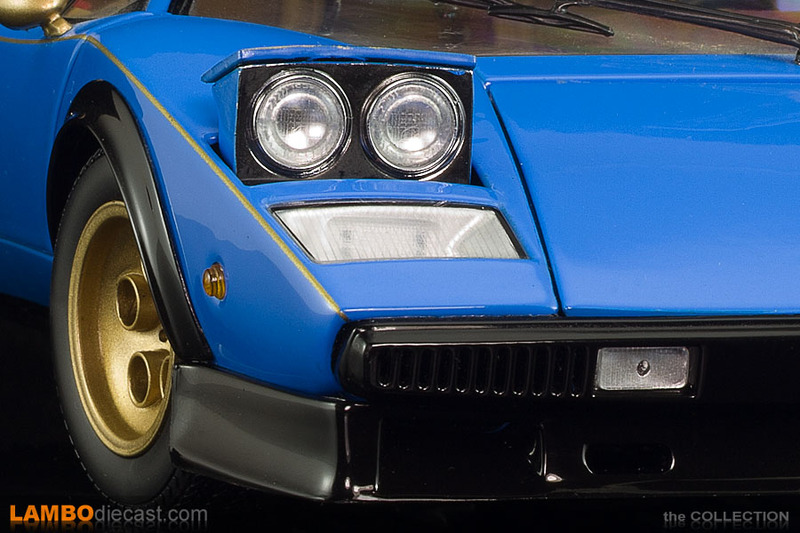 But there were a few strange things to be noticed ... on display this car showed small, black mirrors and end-plates on the rear wing ... these would be restored to original ... but more importantly ... the 5-Liter V12 engine was installed into this car, keeping in mind this engine is most likely truly a one-of-a-kind, this will make the Countach very desirable indeed. 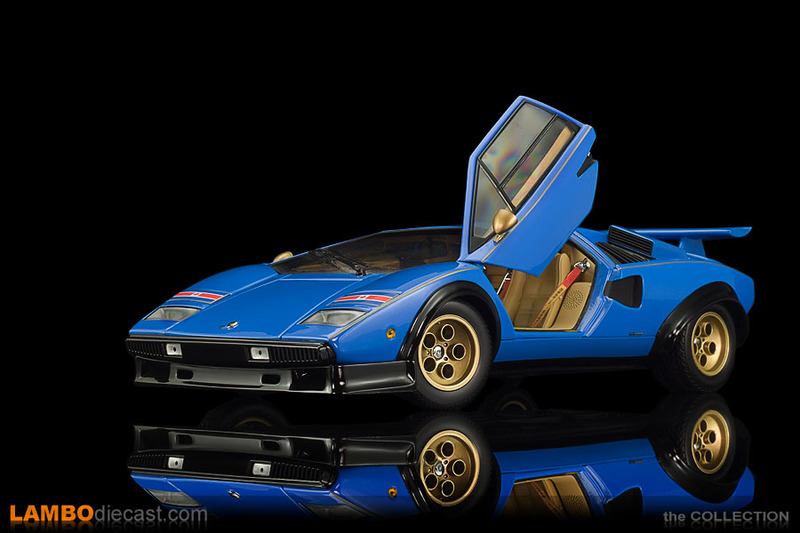 We will have to settle for one of the 1/18 scale models of this amazing looking Countach, as I said, I would try to get hold of this initial release from Kyosho or go for the more recent AUTOart release ... the second release from Kyosho just isn't at the same level as this first one.